Below you can view all the homes for sale in the North Harbour subdivision located in Noblesville Indiana. Listings in North Harbour are updated daily from data we receive from the Indianapolis multiple listing service. To learn more about any of these homes or to receive custom notifications when a new property is listed for sale in North Harbour, give us a call at 317-910-4605.
with epoxy floors*UPDATES INCLUDE: HVAC&H20 Heater 2016, Newer Windows, Amish Built Shed 2016, Exterior Painted 2015, Roof Approx 10-12 years. MLS#21632620. F.C. Tucker Company. The basement offers yet another "get-away" space for tv, hobbies, homework, or gaming! Minutes to the Reservoir. MLS#21619662. Berkshire Hathaway Home. Top Neighborhood with Golf Club and bordering beautiful Morse Reservoir! MLS#21630156. RE/MAX Ability Plus. Walkout basement has exercise room with sauna, large custom bar kitchen with appliances, Theater Room with Tri phase audio/video System . MLS#21600417. F.C. Tucker Company. Home sits on a lot+, with a fully fenced in backyard and a mini storage barn. New water softener 7/18. MLS#21596011. 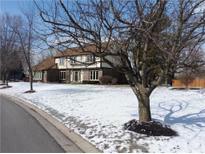 Keller Williams Indpls Metro N.
Membership to North Harbour Beach Club and Harbour Trees golf club are optional. MLS#21586439. Carpenter, REALTORS®.